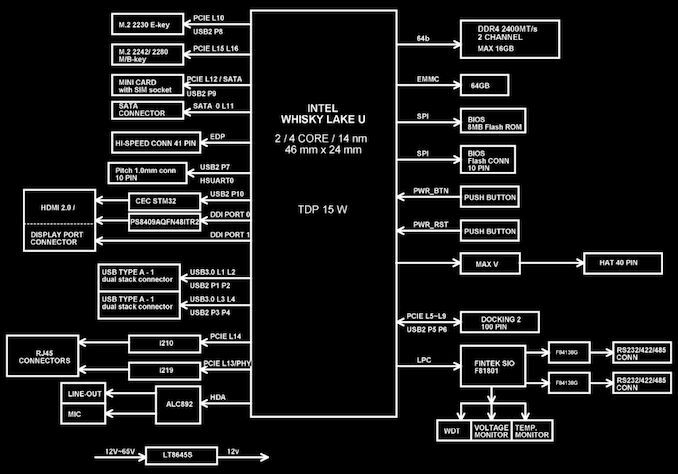 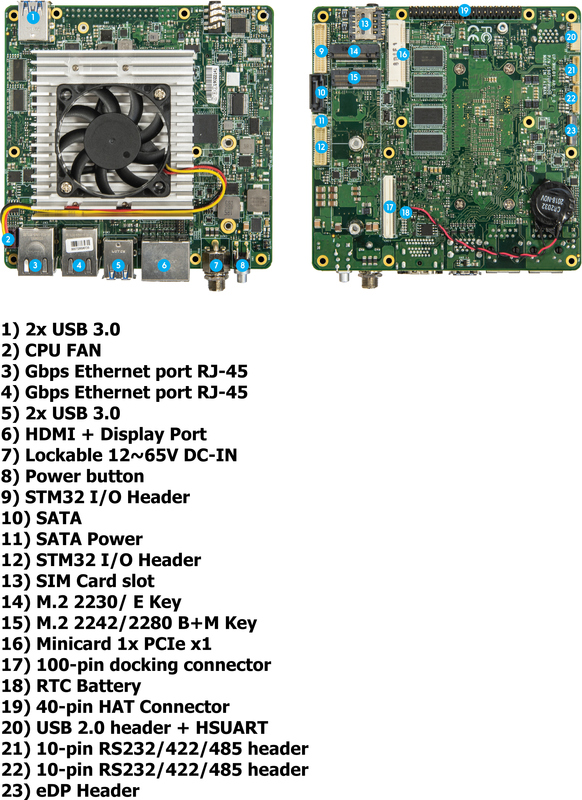 Traditionally, AAEON’s UP-series single board computers have used Intel’s low-power Atom-class SoCs (Cherry Trail, Apollo Lake, etc.). 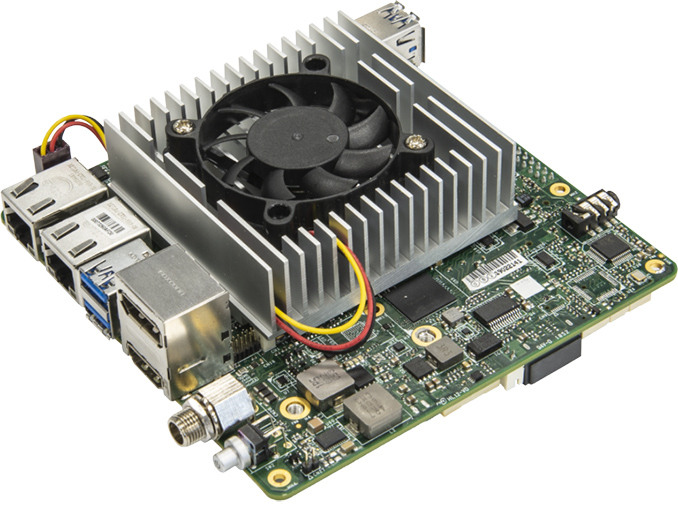 As the name suggests, the UP Xtreme SBC is aimed at embedded devices that need Intel’s high-performance mobile SoCs, such as dual-core or quad-core Whiskey Lake processors with Intel’s UHD Graphics 620, and a 15 W TDP. Just like other SBCs, the UP Xtreme measures 120x120 mm, but because of increased TDP it uses active cooling. 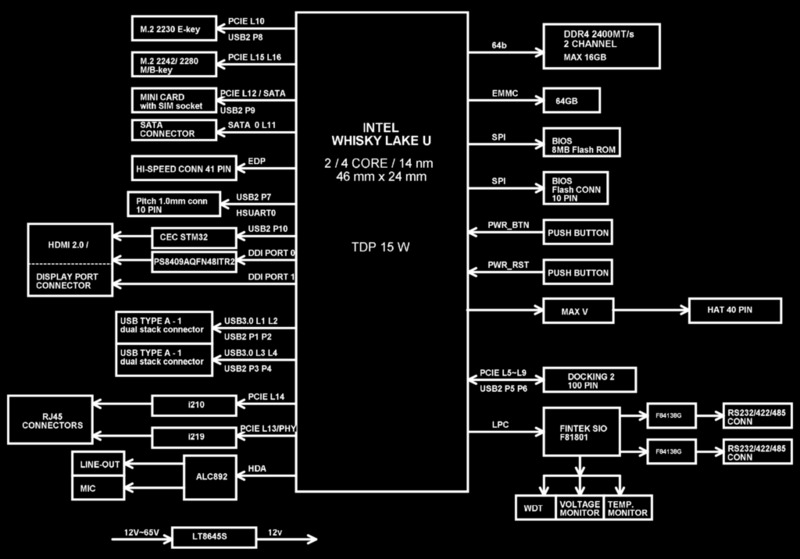 Depending on exact SKU, the UP Xtreme comes with 4 to 16 GB of DDR4 memory as well as 16 to 128 GB of eMMC 5.1 storage.